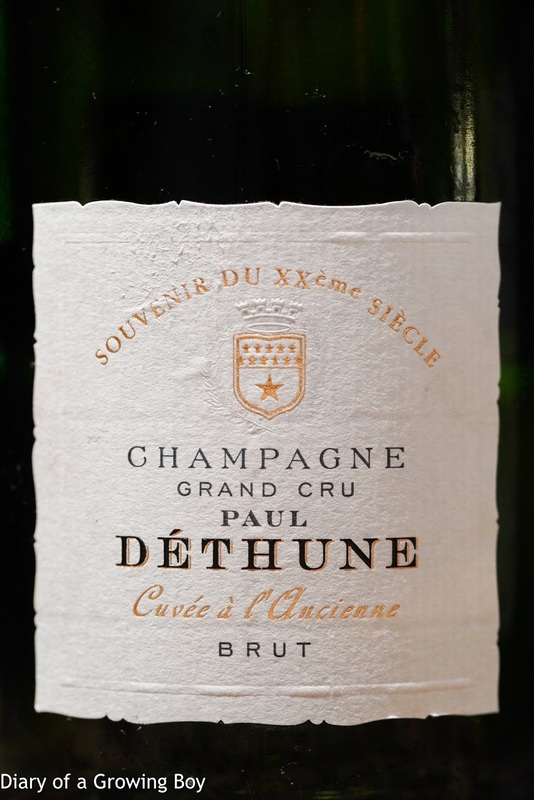 Paul Déthune Cuvée à l'Ancienne, dégorgée en janvier 2012 - initially not getting much from the nose, but the palate was pretty nice with good acidity balance. Slightly dry and a little toasty. 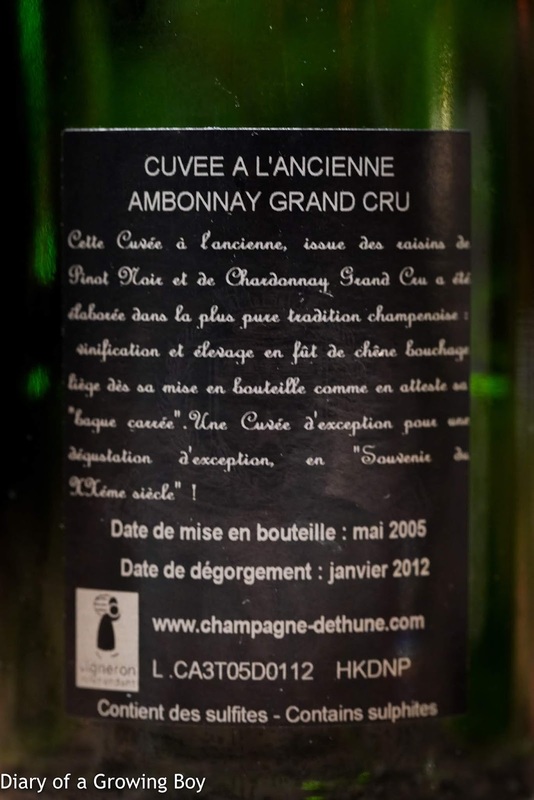 Showed a good amount of maturity and depth of flavors after warming up a little. 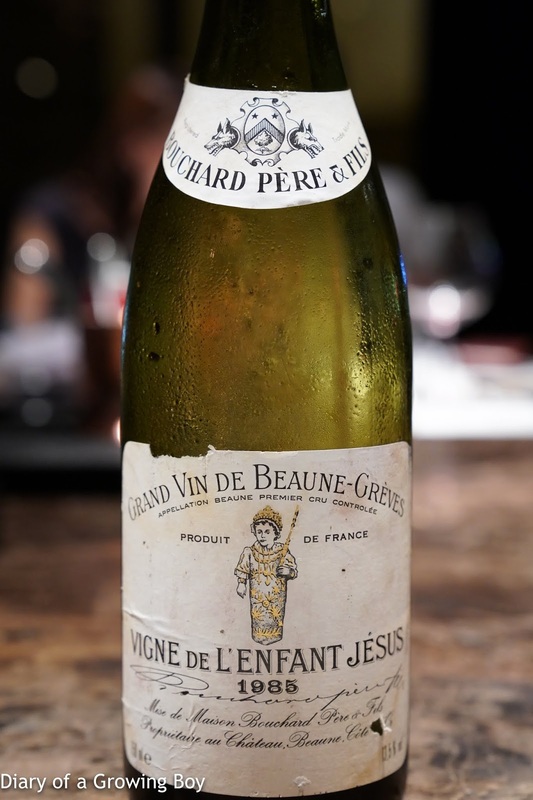 1985 Bouchard Vigne de l'Enfant Jésus - definitely TCA with telltale wet cardboard nose. Madeirized. Grassy. 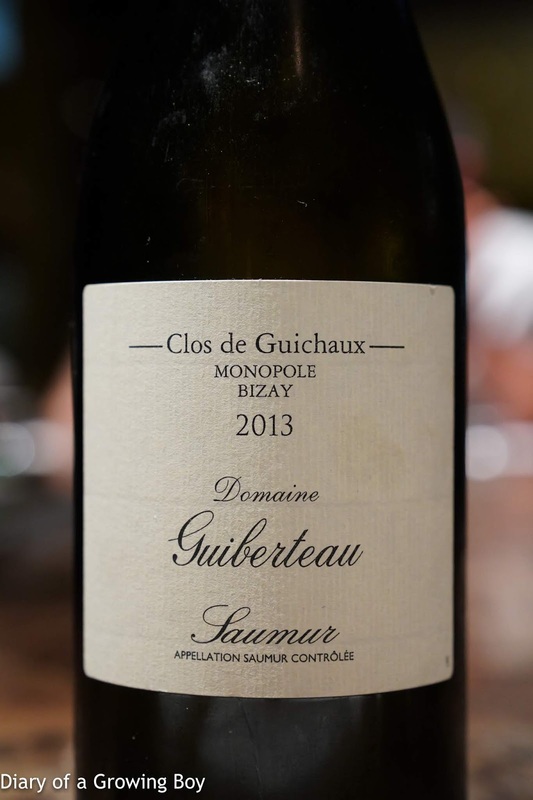 2013 Guiberteau Saumur Clos de Guichaux - dry with crisp acidity. Minerals, a little oak, lemon, and some white flowers. Long finish.